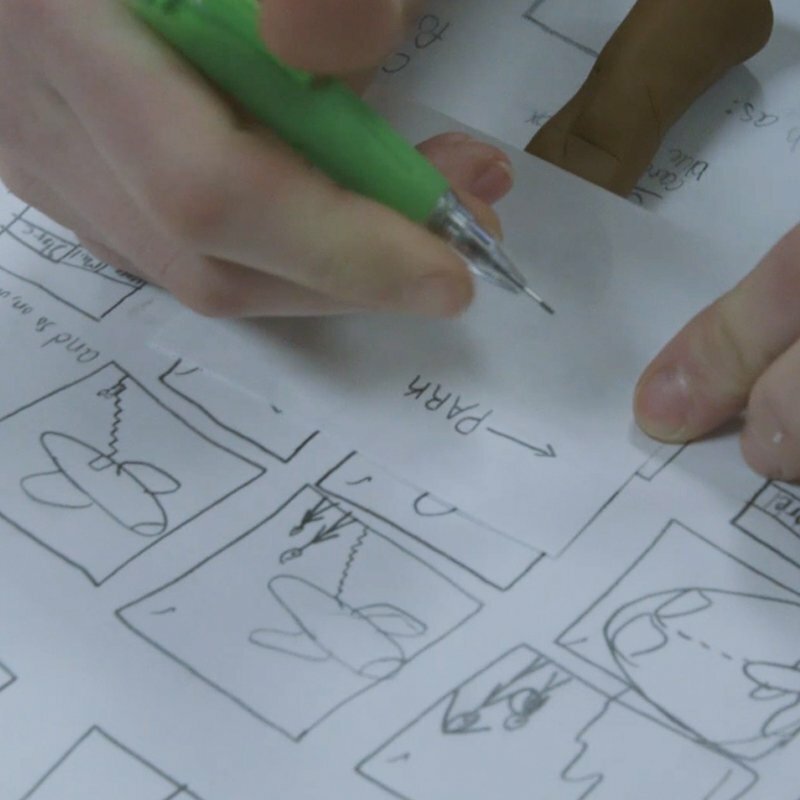 SEE A STORY THAT BINDS US. The initiative was formed by the Human Family and the Afro American Development Association in the fall of 2017 as a product of community conversations organized by United Against Hate. 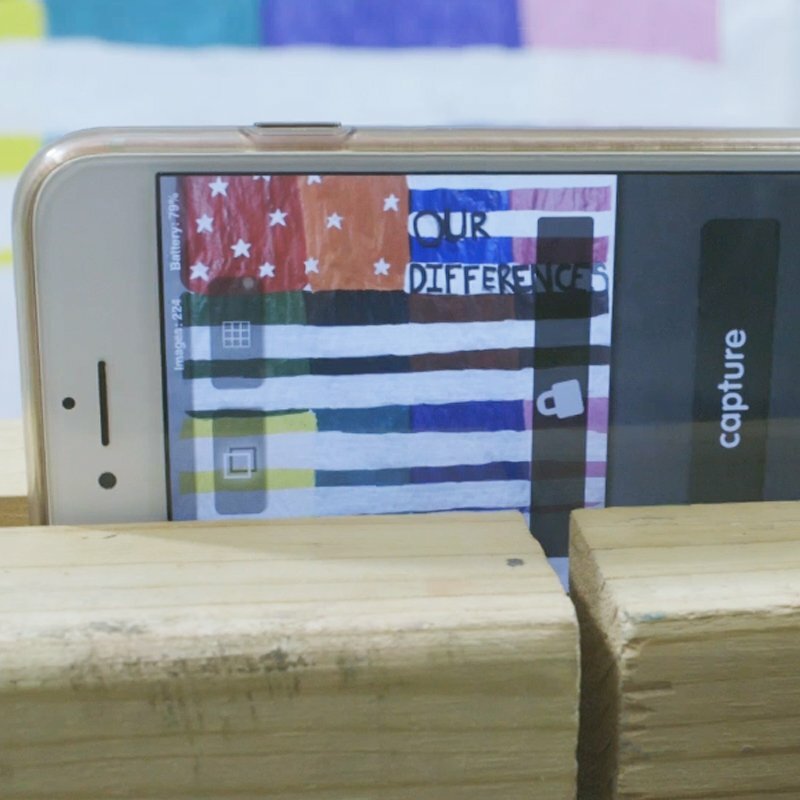 United Against Hate held the conversations to identify positive community solutions and responses to a rise in hate speech and crime directed toward immigrant and former refugee communities in Fargo-Moorhead. 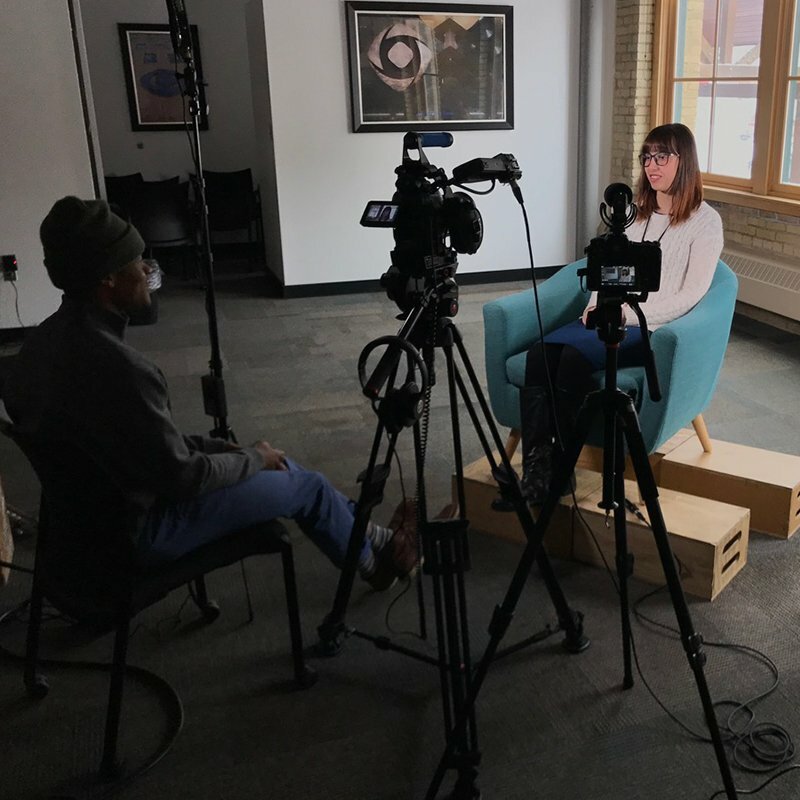 During the community conversations, residents of Fargo-Moorhead identified the need for positive fact-based stories about the contributions of immigrants and former refugees in Fargo-Moorhead were needed to contrast the incorrect falsehoods being promoted on local airwaves. 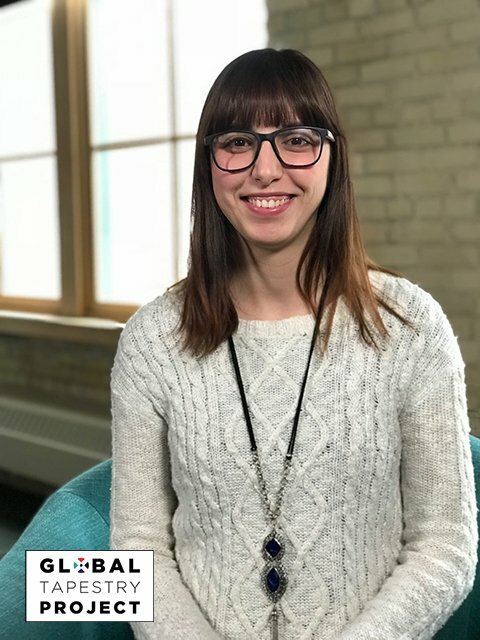 Through art exhibitions, community conversations and an episodic television series, the Global Tapestry Project aims to do just that. The latest stories from our communities. 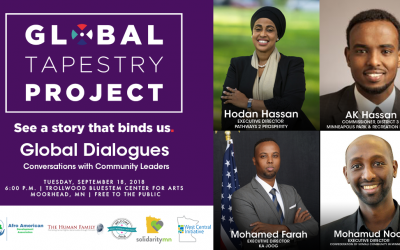 Part 1 of the “Global Tapestry Dialogues: Conversation with Community Leaders” event held on Tuesday, September 18 in Moorhead, Minnesota. As part of the 2018 Welcome Week, the Afro American Development Center and The Human Family partnered to provide a special conversation for the community. New American Leaders from Minneapolis will be visiting Moorhead, Minnesota at the Trollwood Bluestem Center for the Arts to share their inspirations, motivations, failures and successes, and thoughts on the importance of being engaged in communities to unite neighborhoods for racial, social, and economic justice. 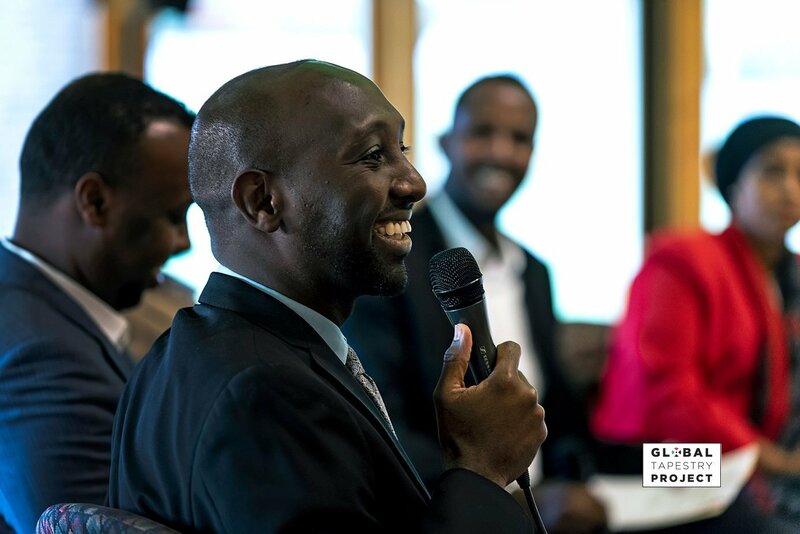 Hukun Dabar, Executive Director of the Afro American Development Association, led the panel discussion. 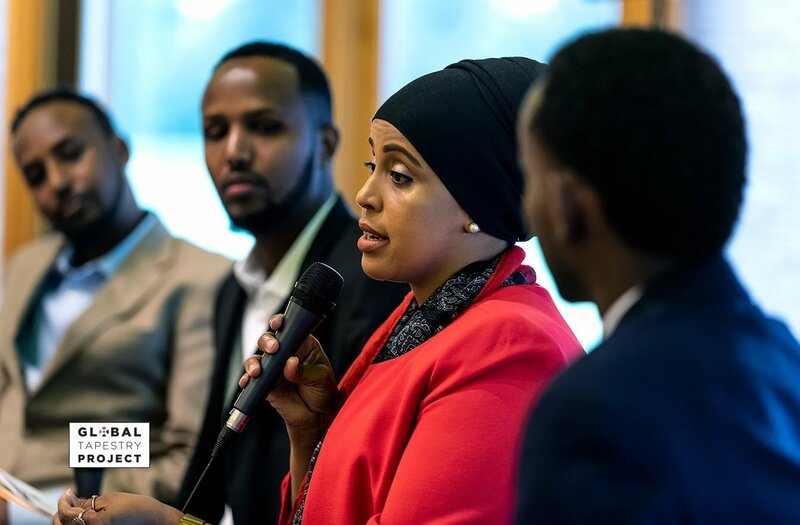 The conversation included: Mohamed Farah, Founder and Director of Official Ka Joog Organization; AK Hassan, Commissioner for District 3 of the Minnesota Park & Recreation Board; Hodan Hassan, Executive Director of Pathways 2 Prosperity; Mahamoud Noor, Executive Director of the Confederation of Somali Community in Minnesota; and Sheikh Abdi. Mr. Adbi is a producer and director from Afguriye Media. He is the former DFL Regional Director in Minneapolis. Made possible through the generosity of SolidarityMN and the West Central Initiative. 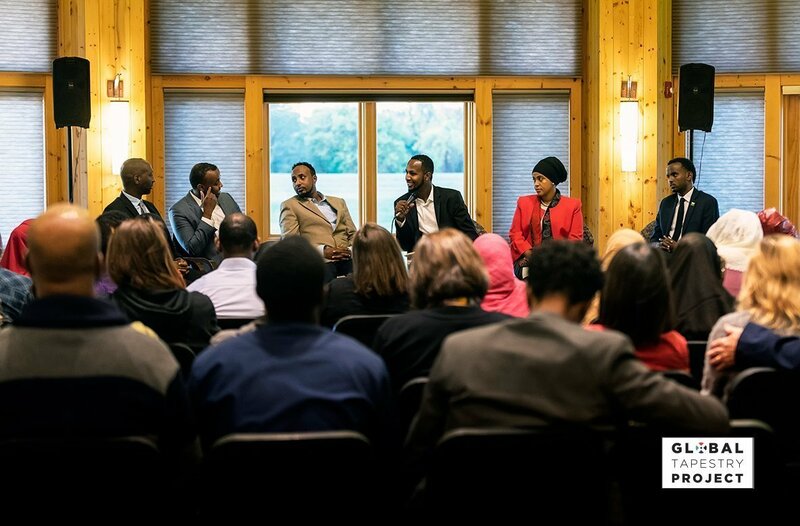 Part 2 of the “Global Tapestry Dialogues: Conversation with Community Leaders” event held on Tuesday, September 18 in Moorhead, Minnesota. Follow the links below to learn more about the latest Global Tapestry events and programming.